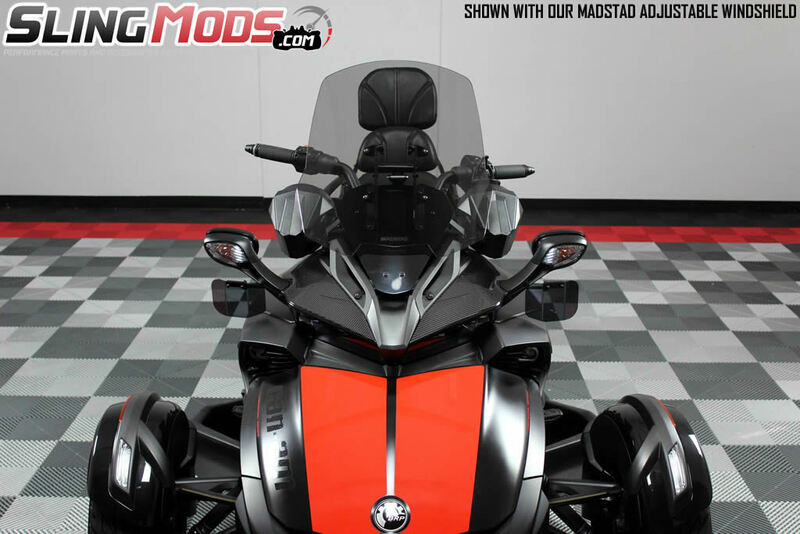 The first thing we noticed when cruising our Spyder F3 was the lack of tunes from the factory. 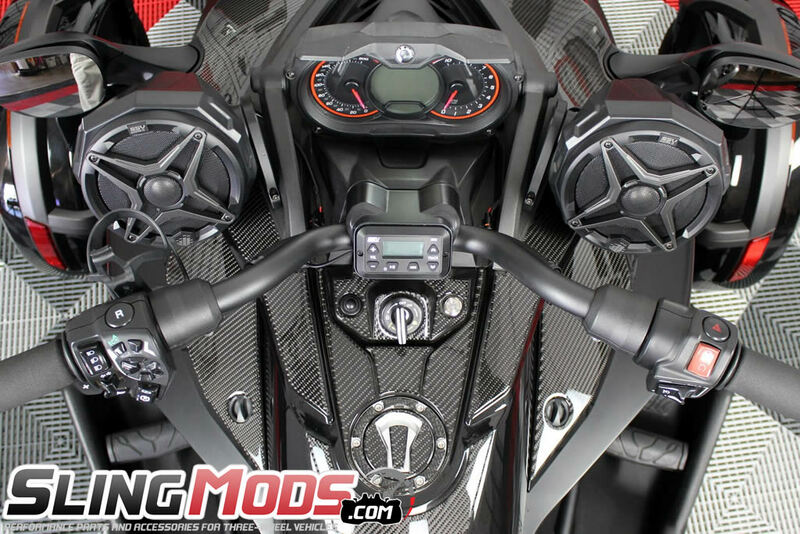 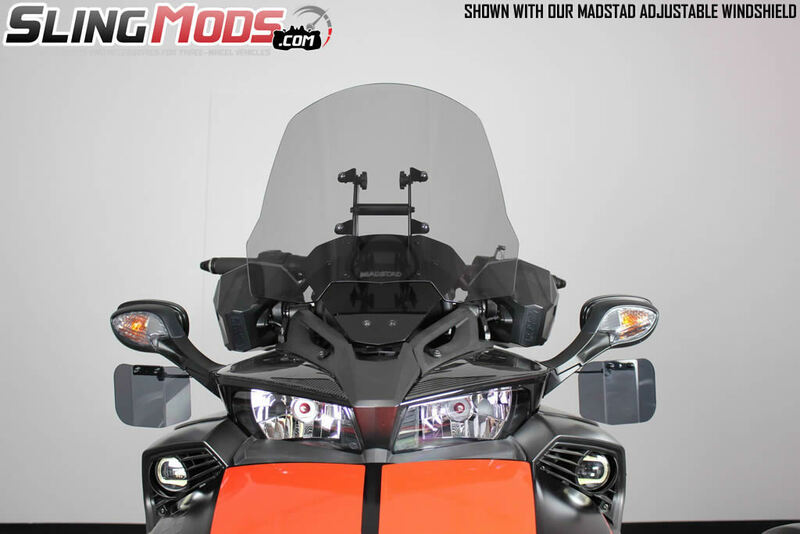 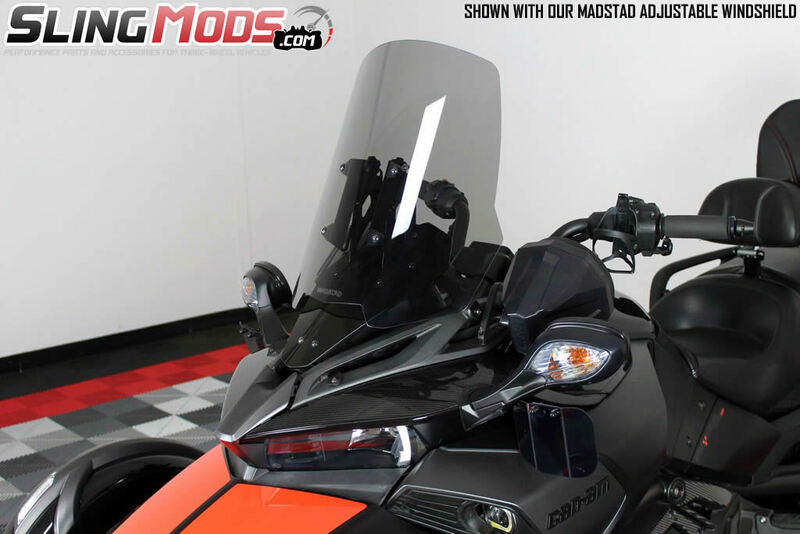 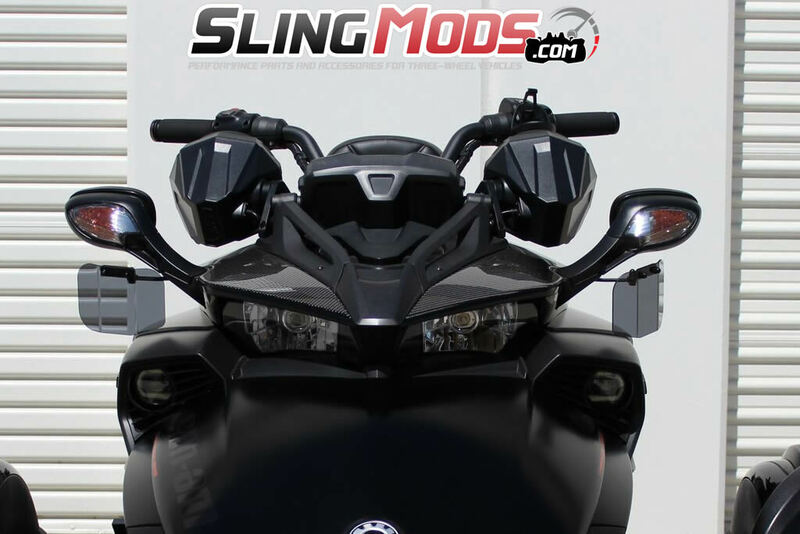 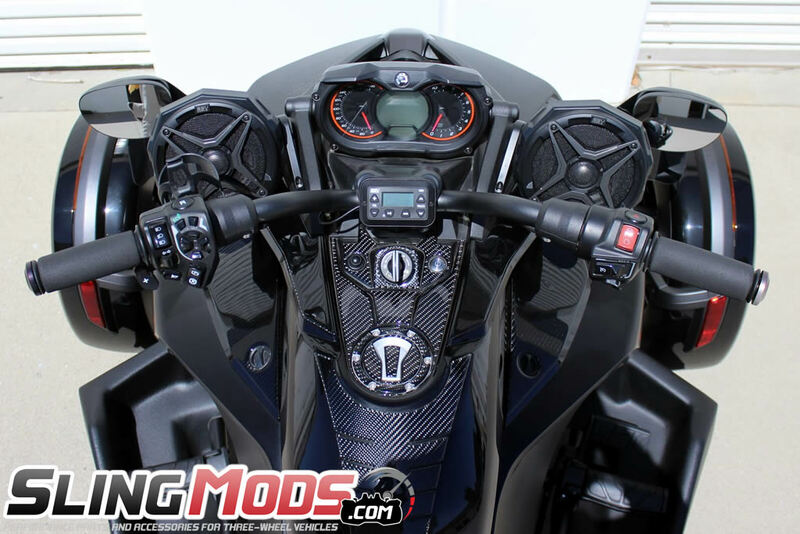 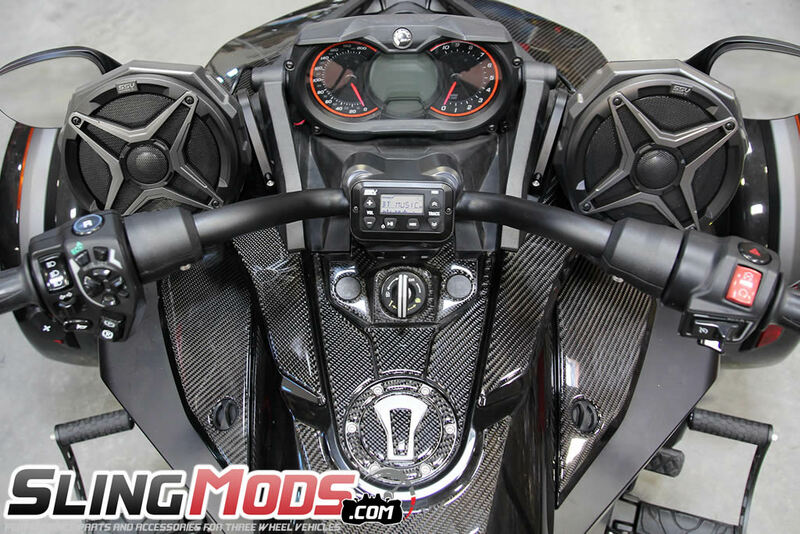 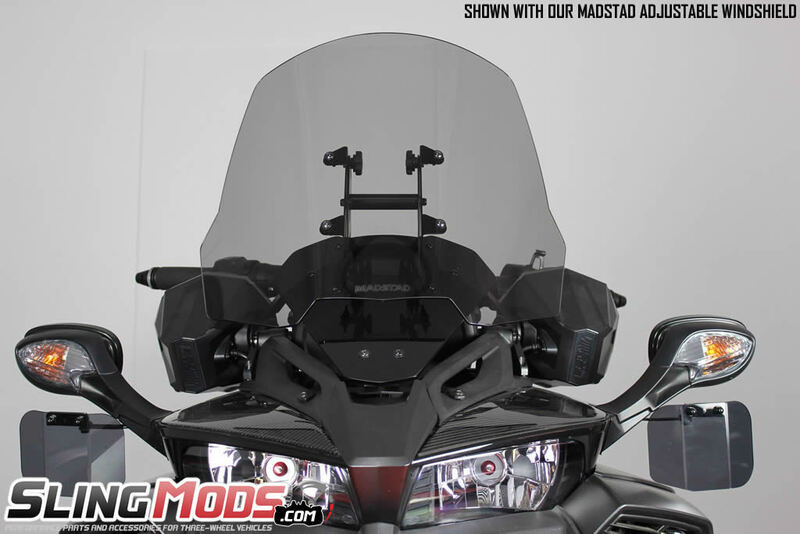 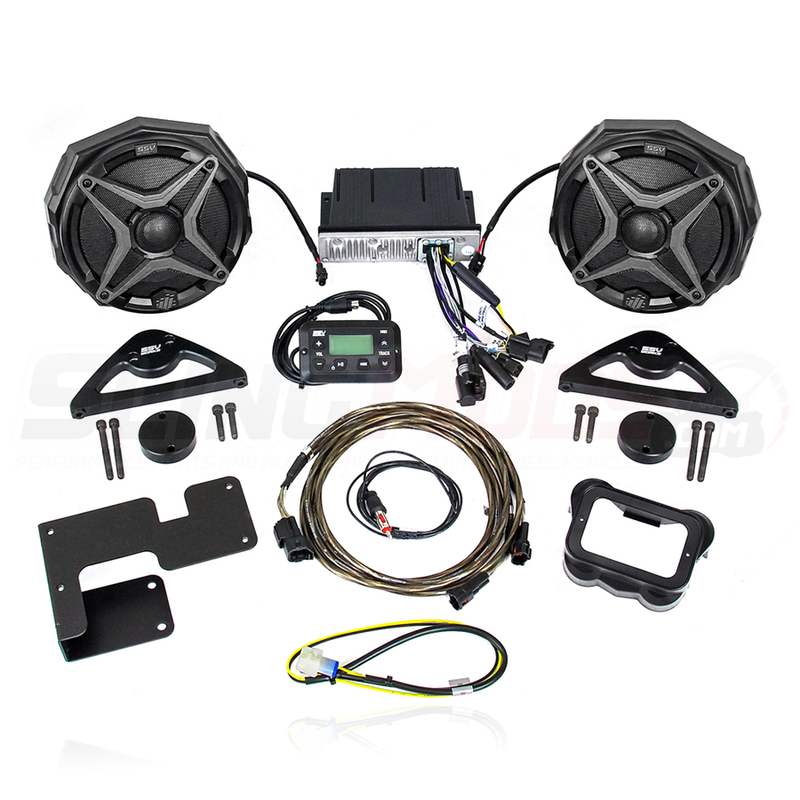 We've been working with the guys over at SSV for years and knew they were the perfect company to tackle an all-in-one stereo system solution for the Can-Am Spyder F3 / F3S. 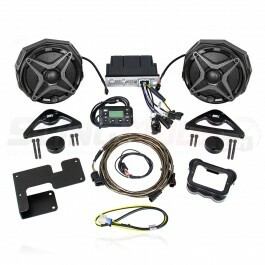 This kit includes (2) 6 1/2" dash mount speaker pods with marine SSVWorks or Kicker coaxial speakers, custom billet aluminum speaker pod mounting brackets, a waterproof MRB3 bluetooth controller, onboard amplifier (50w x 2 @ 4 ohms, 100w x 2 @ 2 ohms) and all necessary hardware and wiring harnesses for a seamless, mostly plug n play installation. 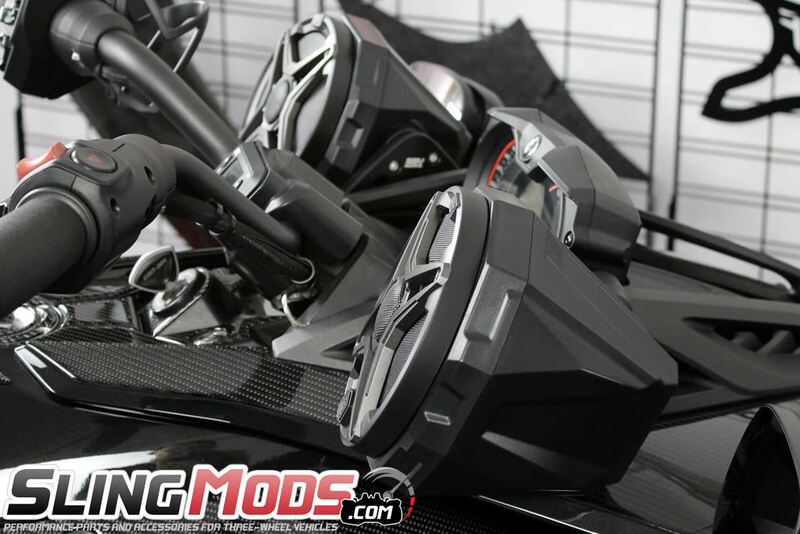 The amplifier unit is tucked safely behind your F3 frunk liner and the MRB3 bluetooth controller mounts with a custom made plastic handlebar mount. 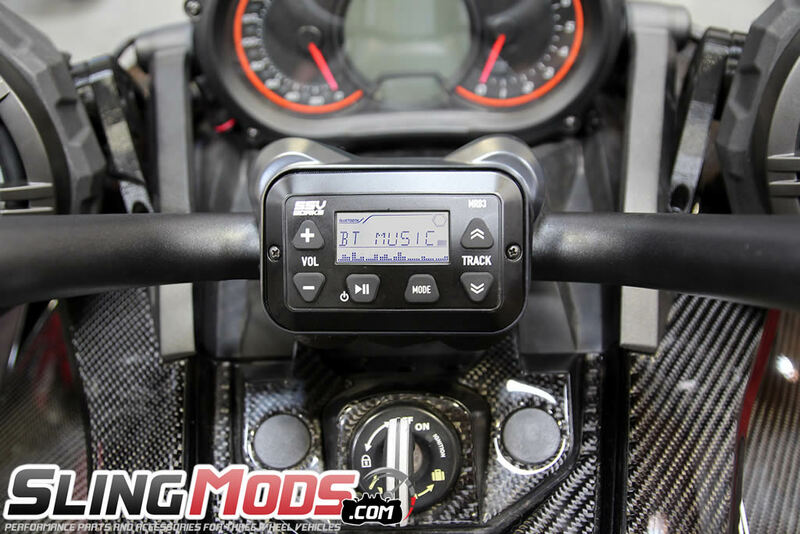 The MRB3 has a built in EQ that allows you to control Bass, Treble and Balance along with 6 preset modes depending on the type of music you're listening too. 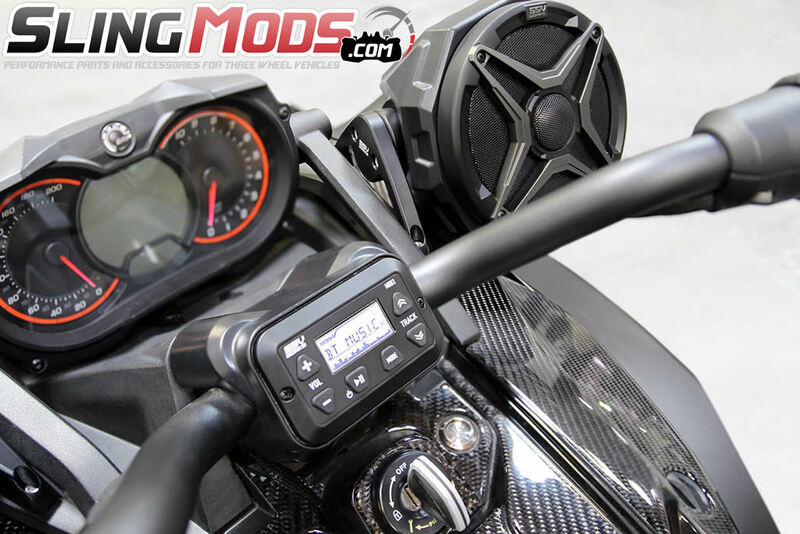 The MRB3 also allows you to adjust volume and track and features as Hyper-white LED back light so it's visible at night. 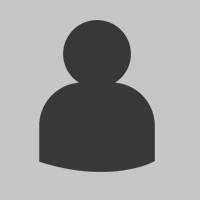 Absolutely the easiest install and the best boom for the money..